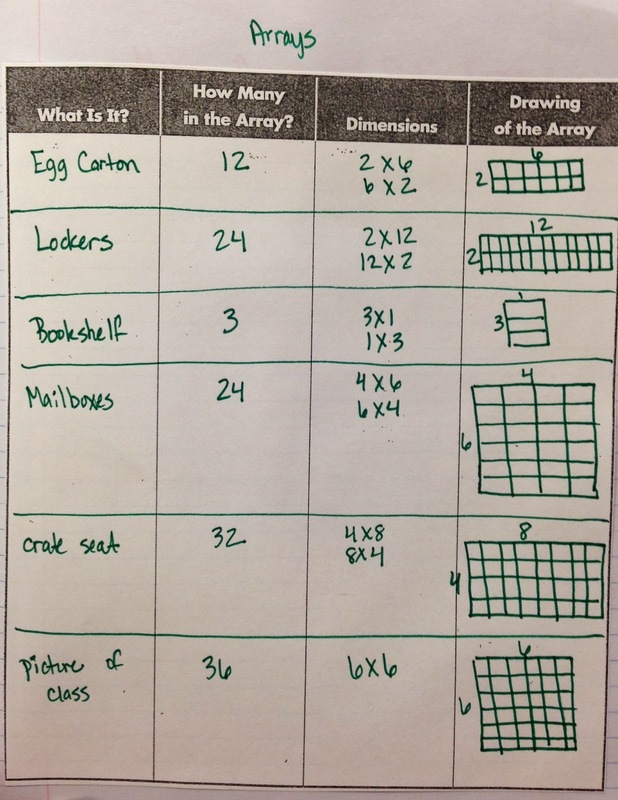 When we begin talking about arrays, we start by defining what they are. 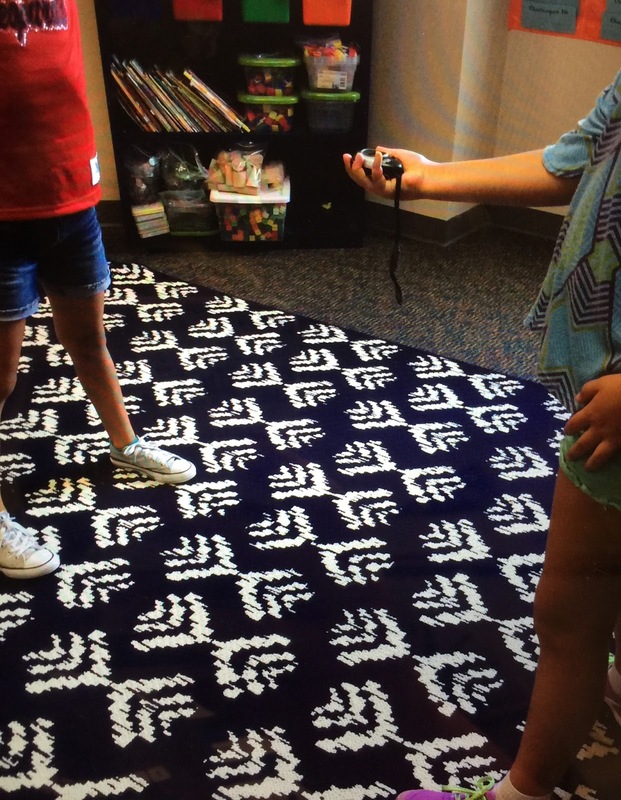 Arrays are not new to our 4th graders, so they are quick to tell us an array is a group of objects with equal rows and columns. 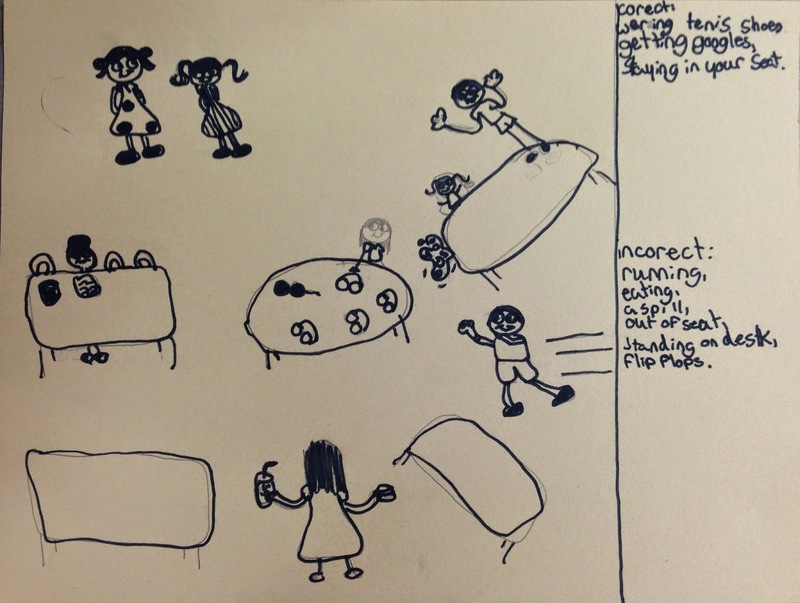 We discuss counting arrays, and how we don't need to count each individual item. We can simply find the number of rows and the number of columns, then multiply them together. This works because we're talking about combining equal groups, which is multiplication. 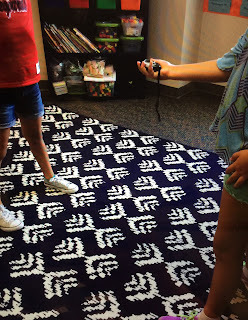 After this discussion, the kids spend some time finding different arrays around our room. 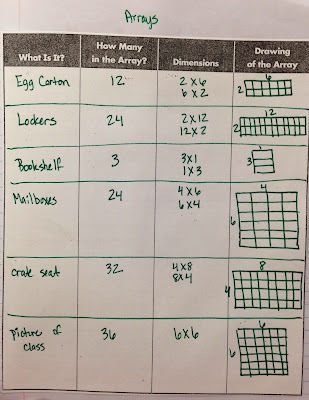 We talk about the dimensions of the arrays found, as well as how many items are in the arrays. This is added to our journal. 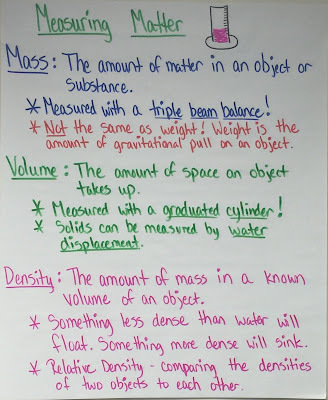 This week we reviewed mass, volume, and density, and also began discussing the idea of conductors of heat. (We'll talk more about conductors when we get to circuits.) The students went through rotations covering each topic. 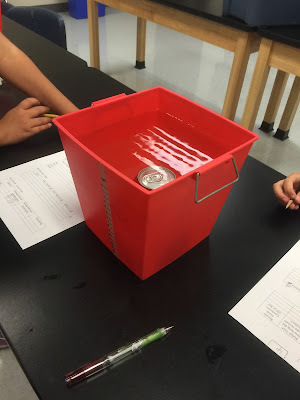 Rotation #1 was a can of Coke and a can of Diet Coke, and the students placed them in a tub of water to measure distance each sank. The regular coke sank to the bottom, while the Diet Coke did not. This lead to a discussion about the mass of sugar versus the mass of artificial sweetener, and their relative densities. 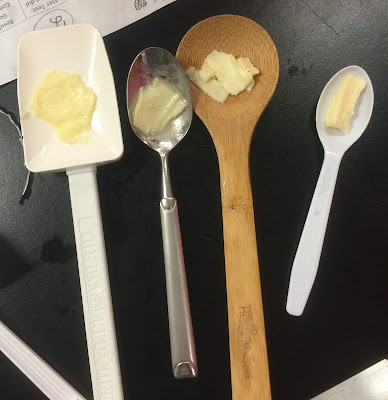 I brought in a sample of each so that the students could feel the difference in mass. It a BIG difference! Rotation #2 included a wooden spoon, a plastic spoon, a rubber spoon, and a metal spoon. The students predicted which spoon(s) would be good conductors of heat, then we put the spoons in hot water for 1 minute. We took the spoons out and timed how long it took for a small piece of butter to begin melting when placed on the spoon. We quickly noticed the metal was by far the best conductor. Rotation #3 was about predicting and measuring the volumes of different liquids. 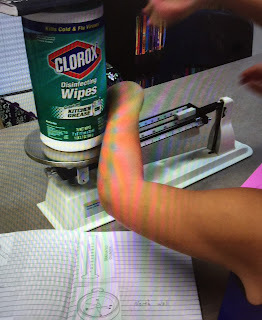 Rotation #4 included measuring the mass of many different objects using a triple beam balance. We're discussing density in science, so to explore it a bit, we used three different solutions and determined their relative density. Before class I prepared three solutions. 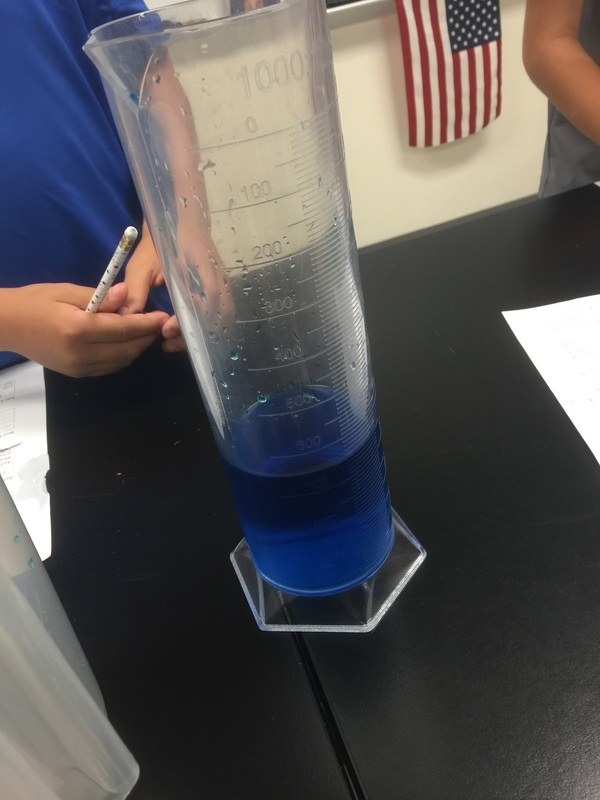 Solution #1 was 400mL of water and 10 drops of blue food coloring. 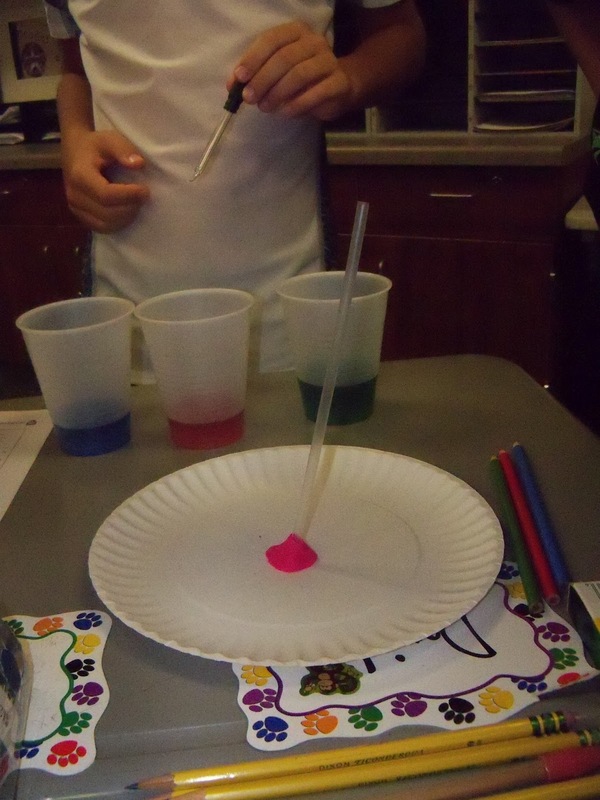 Solution #2 was 400 mL of water, 10 drops of red food coloring, and 3 tablespoons of salt. 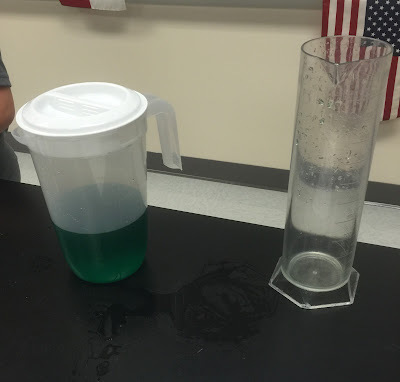 Solution #3 was 400 mL of water, 10 drops of green food coloring, and 6 tablespoons of salt. The kids did not know the properties of the liquids. 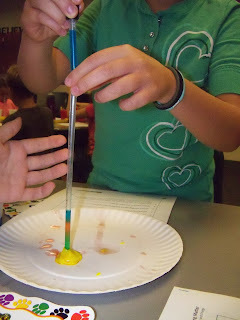 Their only instructions were to build the density tube, and add the liquids in a way that the layers stayed separate. All the kids began in different orders, and they all had a mix of liquids! After lots of trial-and-error, all the groups were able to get their liquids into the correct order. I discussed with each group individually why the liquids had to be ordered in this way. 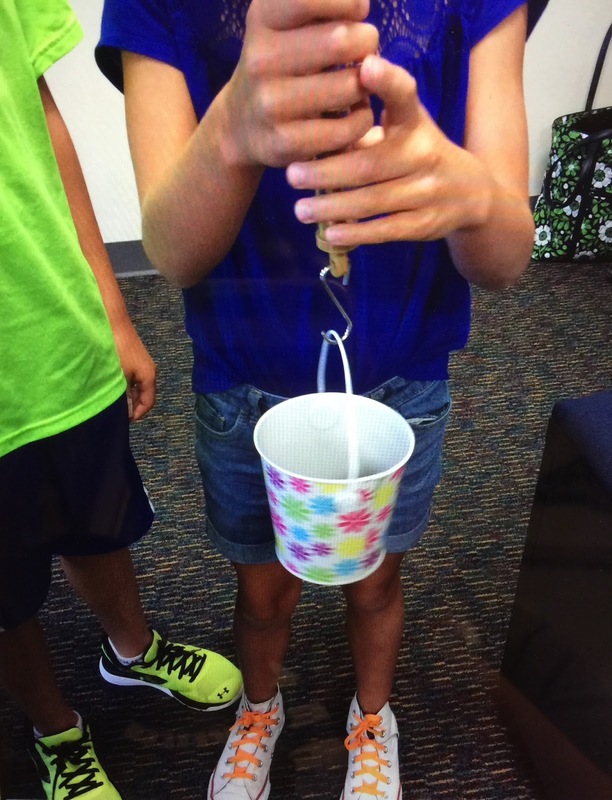 We discussed density, which liquid must be our most dense, and which liquid must be our least dense. 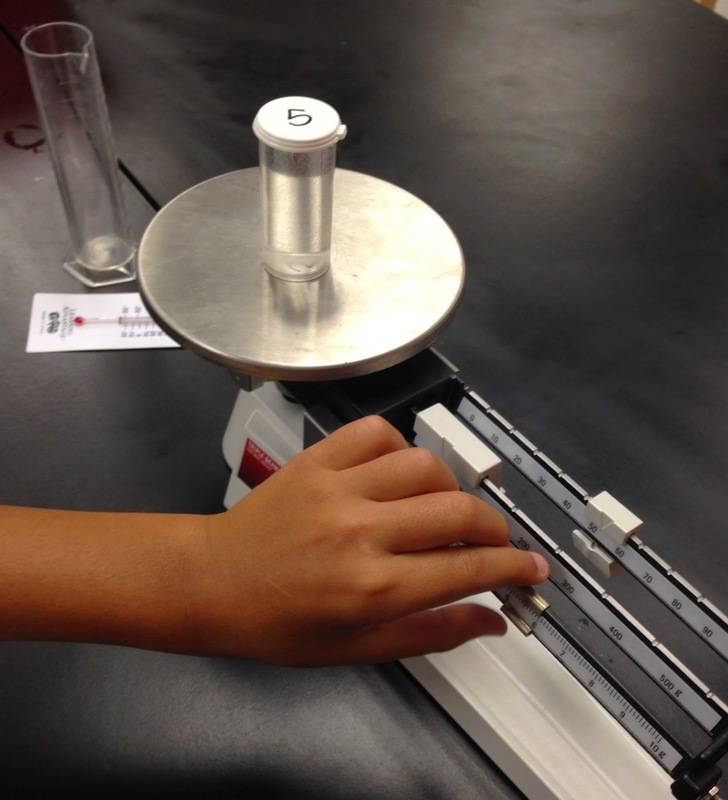 We also related the density of the red liquid to the other liquids. 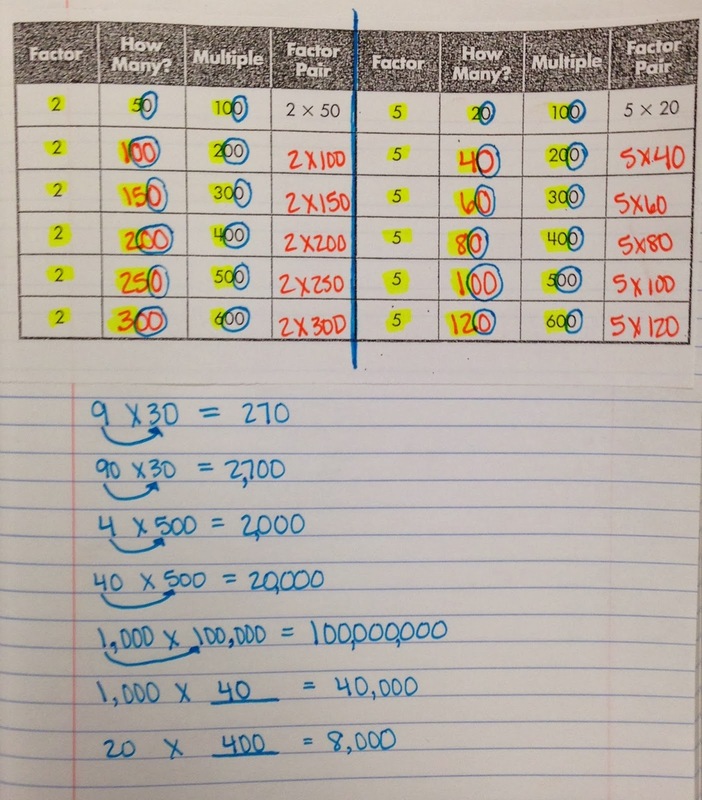 When we begin discussing multiplying by multiples of 10, we start by finding the factors of 100, 200, and 300. This is a great discussion, especially when we get to the factors of 200 and 300. 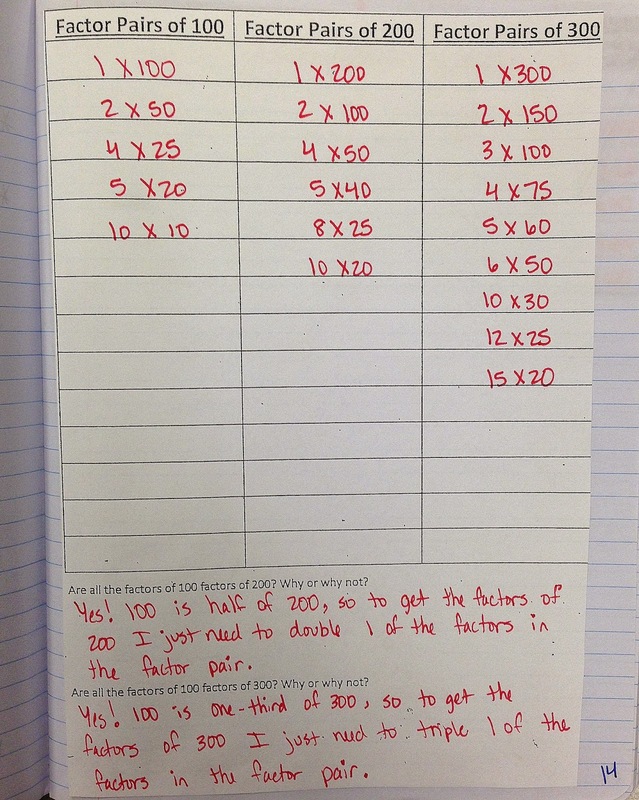 The kids self-discover the relationship between the factors of 100 and the factors of 200 and 300. 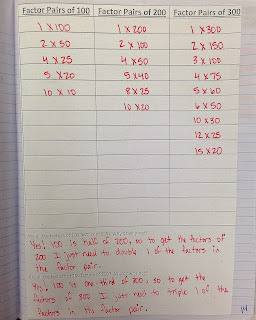 As we have this discussion, I casually comment that 4 x 50 and 50 x 4 both equal 200. I make this comment again when we get to 5 x 60 and 6 x 50 for 300. This leads the kids to notice the rule for multiplying by multiples of 10. 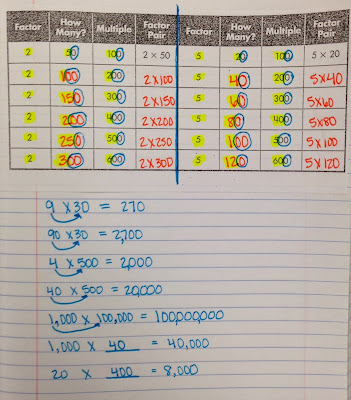 We can just multiply the numbers that are NOT zero first, then we can add the appropriate amount of zeros. The kids absolutely think this is magic! :) Surely it isn't supposed to be this easy?!?! 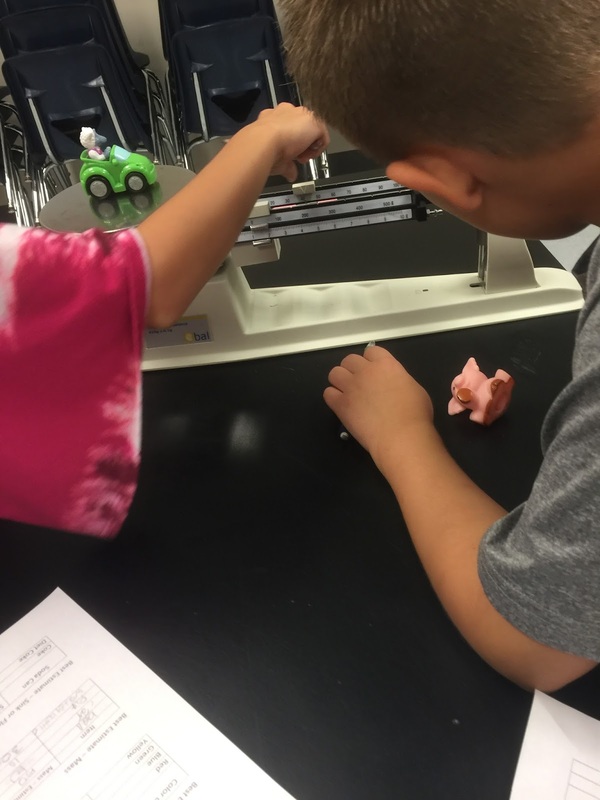 When practicing our ability to measure, compare, and contrast objects, we began by observing a group of objects and listing out their physical properties. 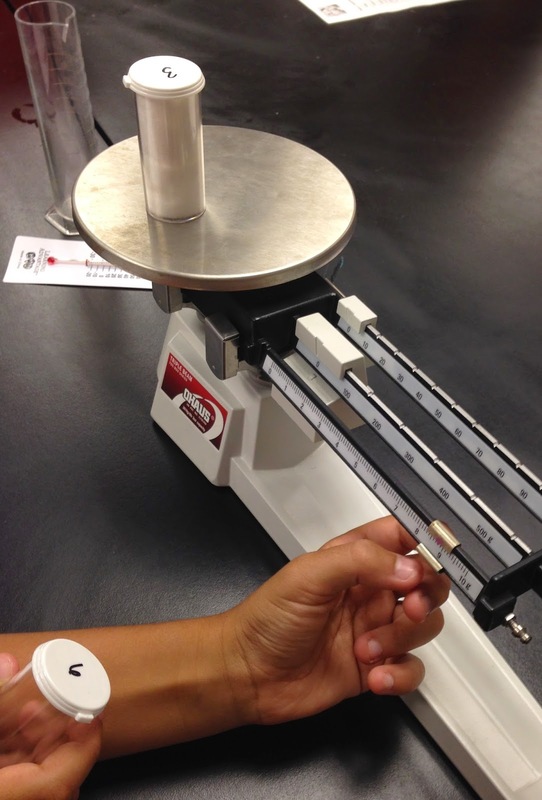 Physical properties are simply the observable characteristics of an object. 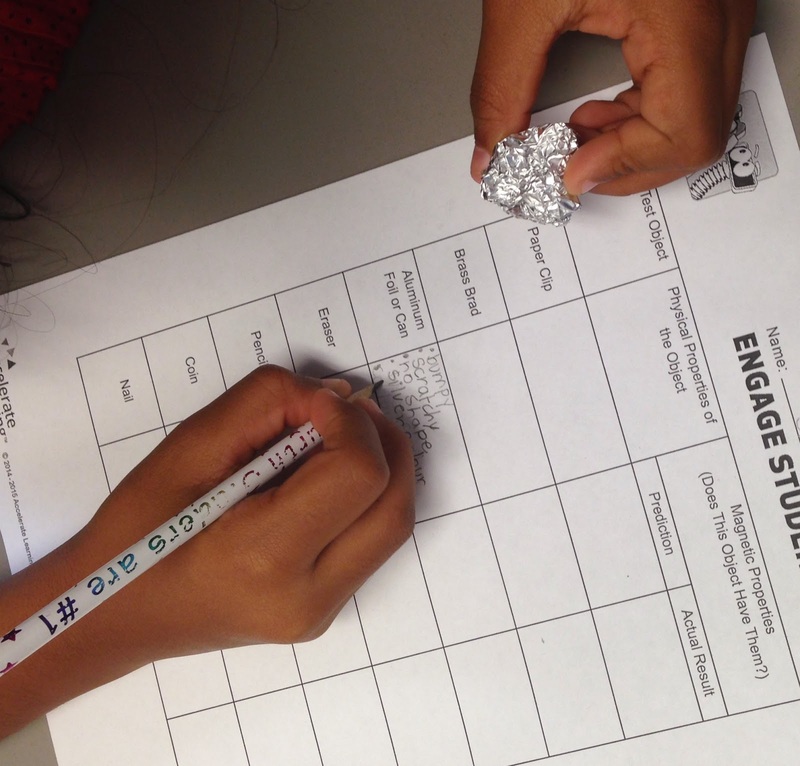 Then the students tested to see if each object was magnetic or not. After we recorded our results, we thought about characteristics that might make an object magnetic, and if those characteristics ALWAYS make an object magnetic. For example, is an object magnetic simply because it feels like it is made of metal? 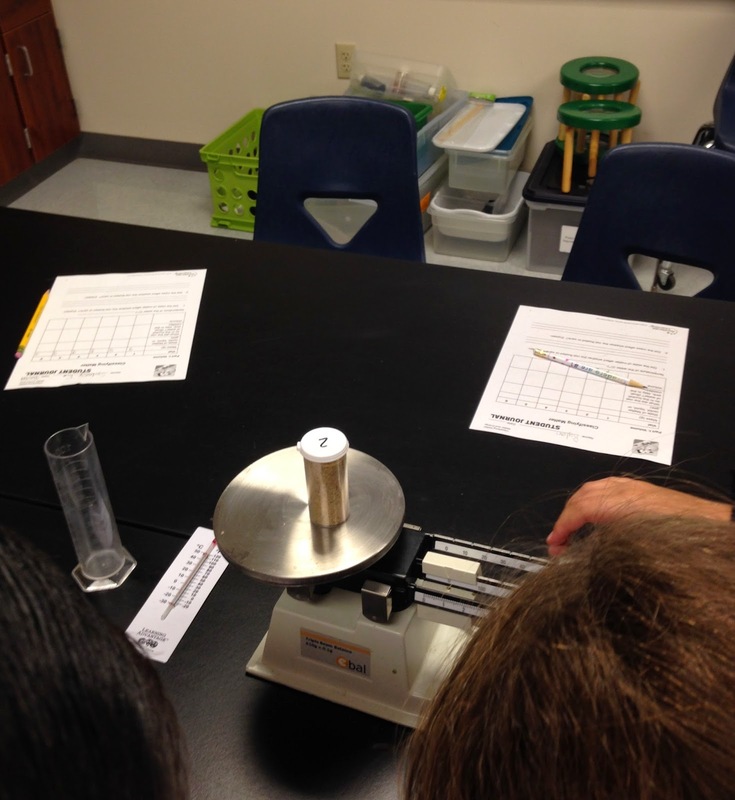 Next we moved to comparing matter based on volume, density, and states of matter. The students were given 6 vials containing mystery liquids (water, sand, cotton, baby oil, salt water, and air.) They found the mass of each vial in grams, then they found the volume of each container by measuring the water displacement after the vial was submerged in 200mL of water. Because all of our vials were the same, the vials should all have the same volume. 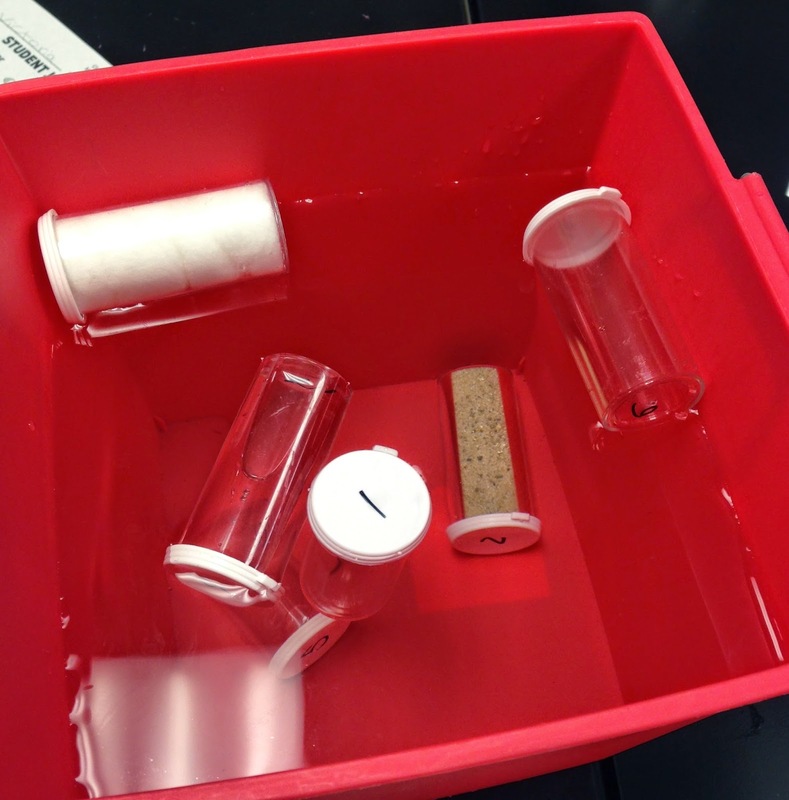 Finally, the students put all six vials into a bucket of water to determine if they sink, float, or stay in the middle. What they found was that the vial of water floated in the middle. This led to a discussion of why. After lots of talking back and forth, the kids finally came to the conclusion that it was because the water in the vial has the same density as the water in which we put it. 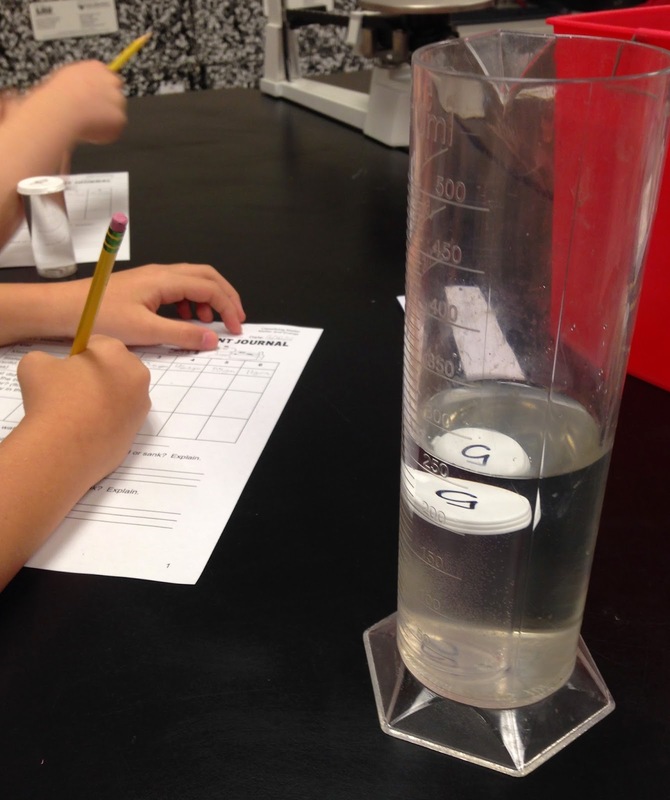 The sand and salt water sank because they are more dense than the water. The cotton, baby oil, and air floated on top because they are less dense than the water. Our final discussion was led by these two questions: Does the state of matter affect whether an object sinks or floats? No, because we had solids that both sink and float and liquids that both sink and float. 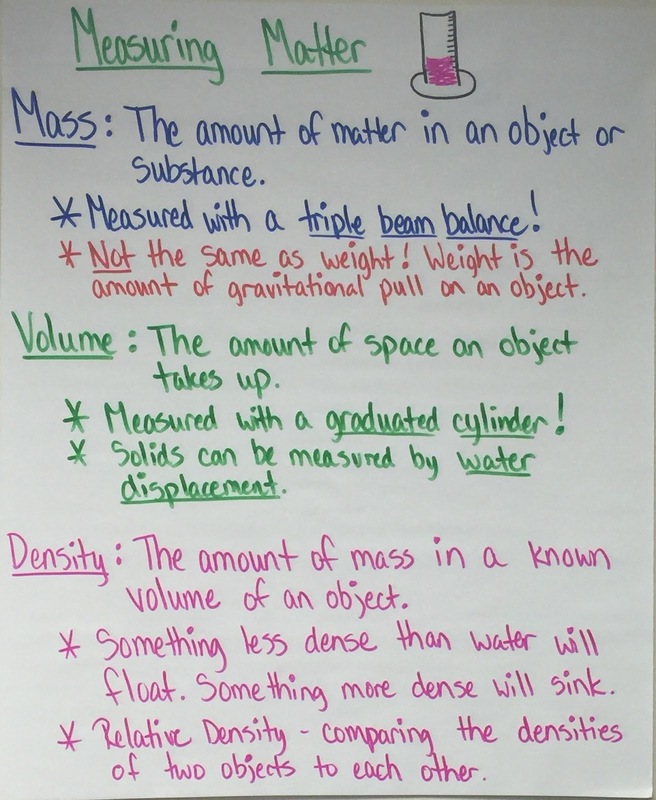 Does the mass affect whether an object sinks or floats? Yes, the higher masses sink, while the lower masses float. Tuesday we explored addition strategies! 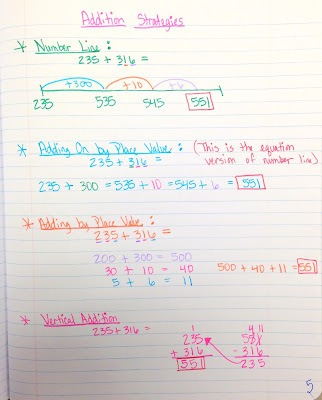 I gave all the students the same addition problem, and let them solve the problem however they wanted. 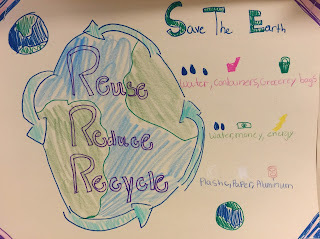 I selected several students to write their strategies on the board. The kiddos were shocked at how many different ways their friends solved the same problem! 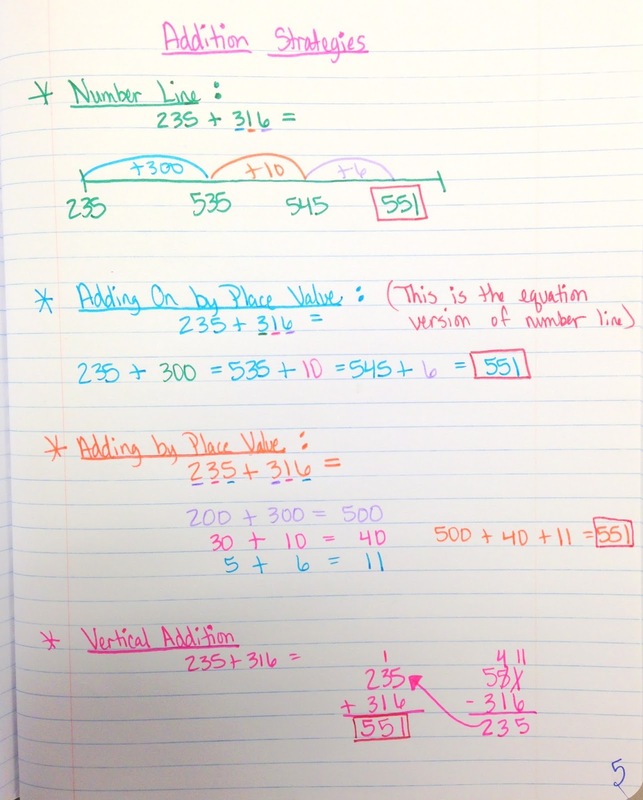 We focused on four different strategies to add to our journal: Number line, Adding on by Place Value, Adding by Place Value, and Vertical Addition. 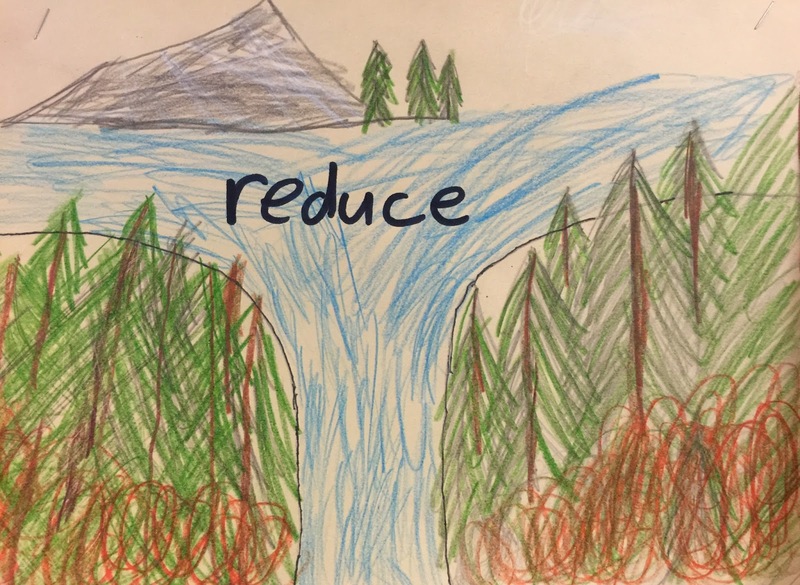 Both the place value strategies are similar, but one continues on in one equation, while the other is broken into separate equations. 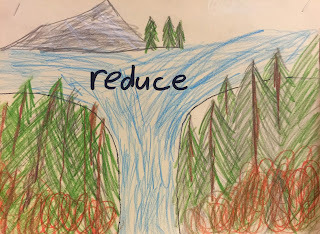 It's important the kids know different ways to solve problems. First, it helps them move to the most efficient way possible. Second, it assists in their checking of the problems. Super important!! 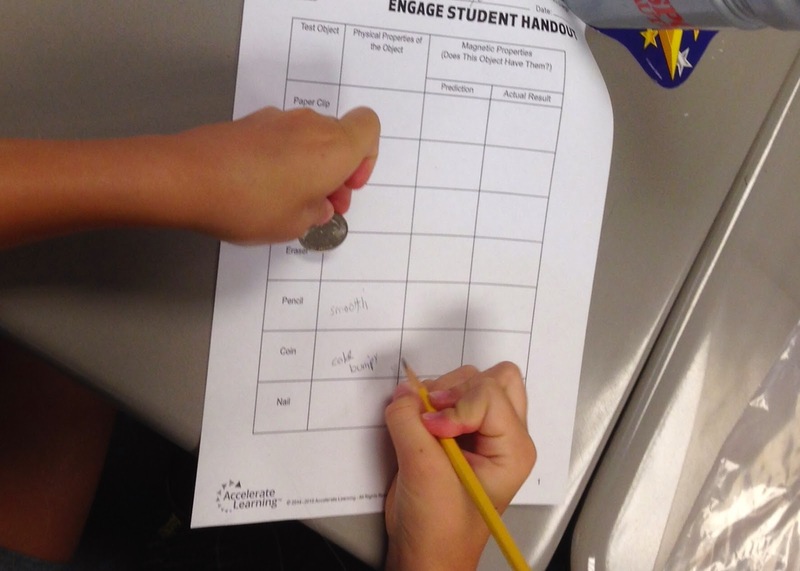 This week we did a tools rotation so the students could explore the different tools we will use this year. There was a center for the spring scale, a stopwatch, a triple beam balance, a meter stick, graduated cylinders, a compass, and a microscope. 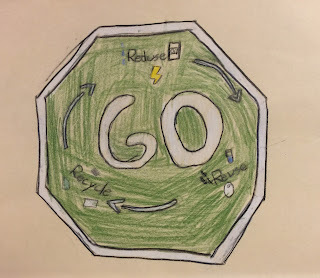 Each center had directions for the students to follow so they could explore the tools in more depth. 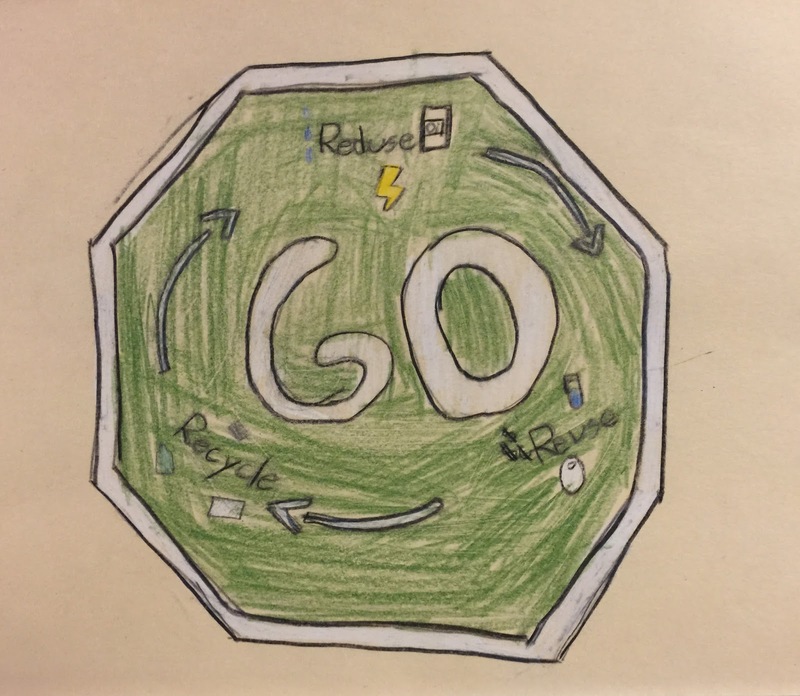 They made a journal entry for each tool, describing it's use and why it is helpful. Today we discussed lab safety. 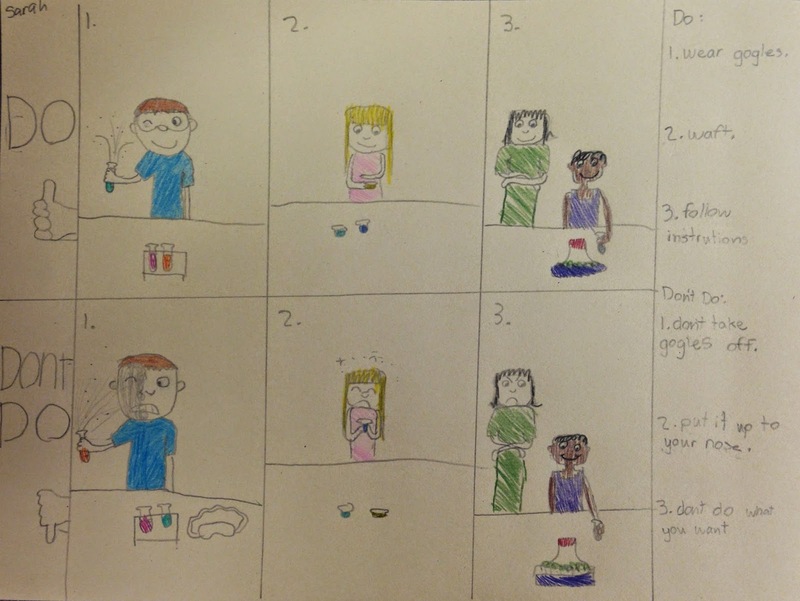 After our class discussion of rules for the science lab, I gave the children the task of drawing a lab scene which included both correct behavior, and incorrect behavior. They then had to label these behaviors.